Nervous, excited, scared, and happy. That was the emotions I went through under our adventure. 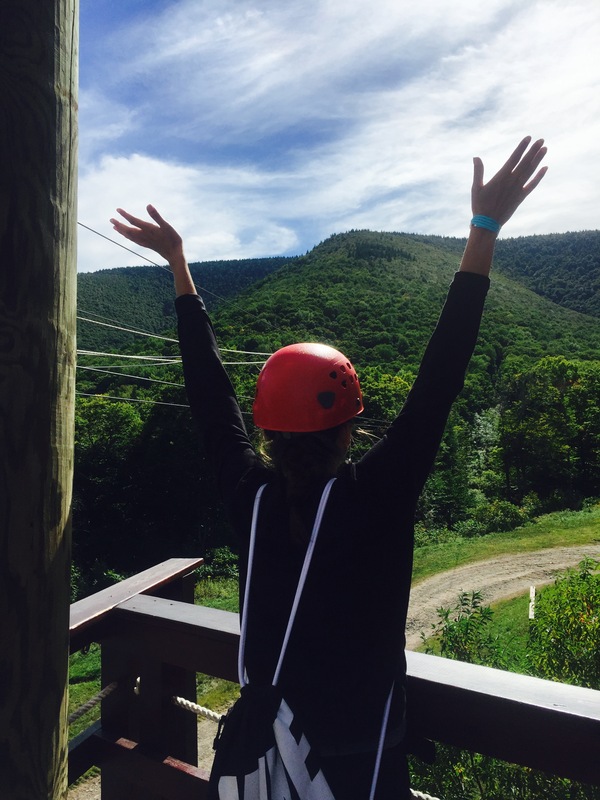 This Sunday we went to the New York Zipline adventure tours, located in Hunter Mountain. I was excited for the adventure waiting ahead, since I love these kinds of adventure, but at the same time I’m afraid of heights. When we got there we were introduced to our tour guides and got the equipment that we needed. Then we started our journey to the top. Before going to our first ride, we were introduced to the rules, equipment, and the position we were meant to do while on the ride. When we got to our first ride I was super nervous, since this was the longest and the highest point, and as I said before, I’m very scared of heights. When it was my turn with Teresa I got really nervous, and scare, but I thought to my self that “I’m just gonna do it, no doubts, just go for it”. When the tour guide yelled “Zip away” I just went, no doubts no nothing, and that was truly an amazing feeling. The view was spectacular and the fear had gone away, it was just me, flying through the air, and I was free. After the first ride, I wasn’t scared anymore. I just went for it, every time, I was so happy. I couldn’t believe that I was doing it, and that I had this amazing nature around me, and I experience it with the girls. 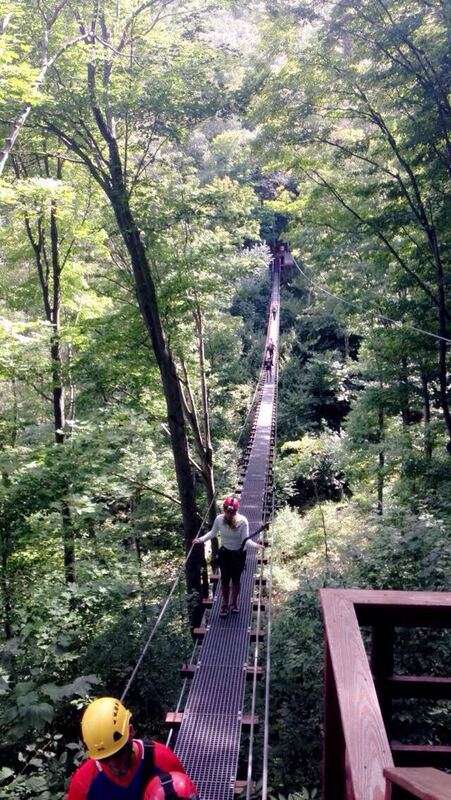 The rest of the trip was so much fun, we also had the chance to walk across this cool bridge, which I also was afraid of, but it’s always good to turn something scary in to something positive, at least in these situation. I enjoyed the entire trip, and it was so sad when it was over, cause I really wanted to do it again, and again. For me this was one of the best things I have ever done in my life. I am so proud of conquering my fear of heights, since the Zipline in Hunter Mountain is the longest & highest Zipline canopy tour in North America. Crazy right? Well that’s all for me this time, see ya later! This was really the best experience ever! I’ve never had so much fun in my life! Further I am so impressed with you for doing it, since you’re scared of heights!! In my opinion, bravery is when you do something even though scares you, so you and Martha were basically the bravest out of all of us, since you’re both afraid of heights. A round of applause for both of you! I want to go back NOW so we could do it all over again!! Next ArticlePositive vibes: First interview in NYC.